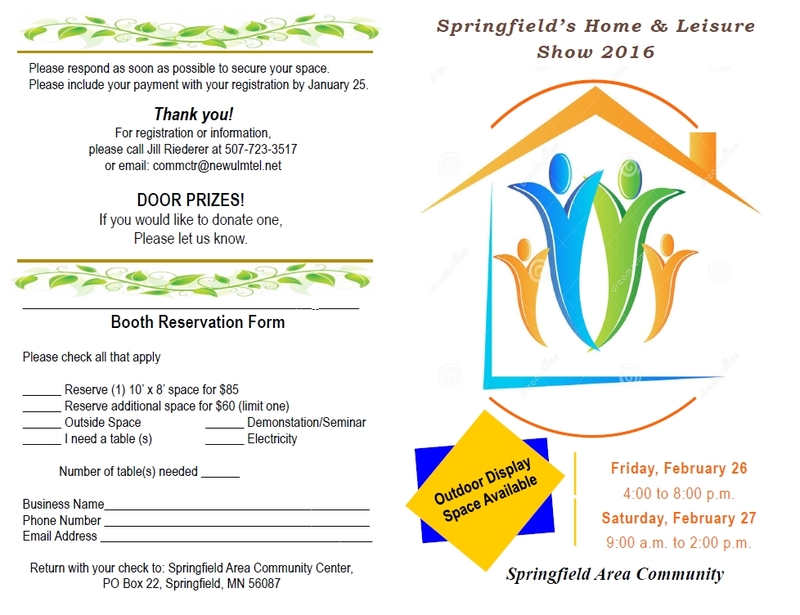 The Springfield Home & Leisure Show is Friday, February 26th and Saturday, February 27th at the Springfield Community Center. Vendors – registration is due by Monday, January 25th. A printable registration form is available HERE. Marie Gervais will serving food on Friday 5 pm -7:30 pm and on Saturday 11 am – 1 pm.